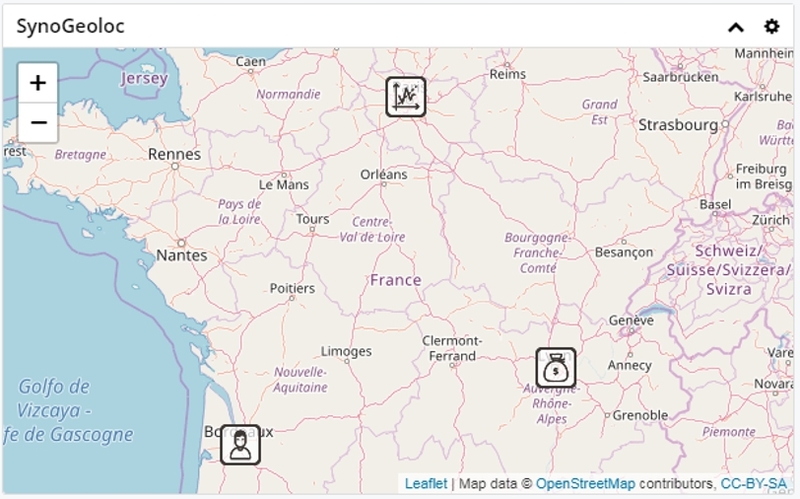 Locate your clients and prospects on a contextualized map. Visually identify clients by type icon. Get directions to help plan out your route. Add maps to your record and list views. Also works great in drill-down reports. 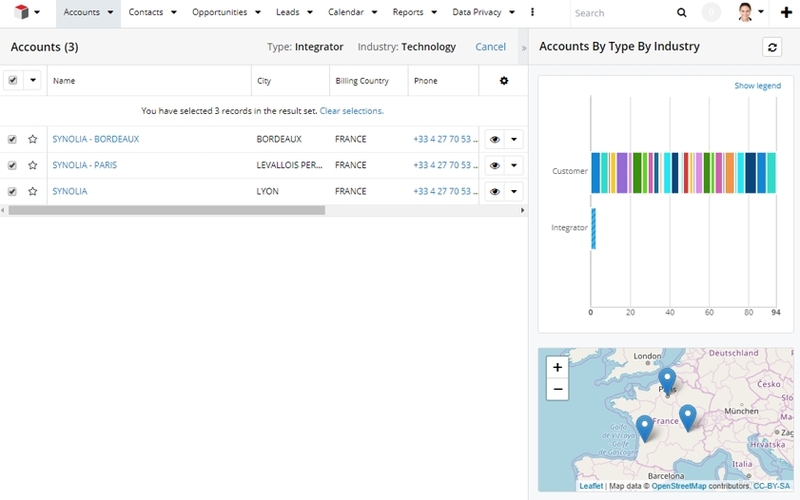 Quickly identify important clients or prospects based on the account type icons.